Did you know that May is pregnancy awareness month? I guess it makes sense to have pregnancy awareness month be the same month as Mother’s Day. I had never heard of it until last year when I was pregnant. Unfortunately, by May last year, we were in the final countdown before Guinevere arrived. I had a couple of showers, Mother’s Day, and my birthday all occupying basically every weekend in May, so I couldn’t attend any of the fun PAM events. This year, however, I decided to go – even though I am not pregnant anymore. Fortunately, I have a very good friend, Tania, who is pregnant with her second baby right now, so I invited her to join me at the PAM event in Santa Monica. Tania and I met up down at Bergamot Station in Santa Monica and stood in a long line to enter the event. We were both surprised at how many people were there! They were giving away free gift bags to the first 200 people to attend, so I guess that was a big draw. Plus, Harvey Karp, the author of the Happiest Baby books gave a talk and then there was a panel with some celebrity dads (including McSteamy, Eric Dane). Once we finally entered the event, we strolled around looking at various booths, signing up for giveaways and gathering free samples. I am a sucker for free samples! I live for events like this where I can collect a bucket full (or in this case, canvas bags full) of free samples. Eventually we found our way to a room sponsored by Books & Cookies where Tania’s daughter, Olivia, wanted to go in and play. By that point in time, G was starting to get heavy in the Ergo anyway, so I was glad for a break. I took G out of the Ergo and helped her play with some drums, all the while trying to keep her from putting too many toys in her mouth. Maybe I should probably relax a little about it, but I don’t know where those toys have been! Every time she would try to put one of their toys in her mouth, I would try to distract her with one I brought from home. But, of course, she thought the new toys were much more interesting. She ended up finding some drums to bang on and I was much happier because she didn’t try to put those in her mouth. Oh, I should also mention that I got interviewed because of this blog! 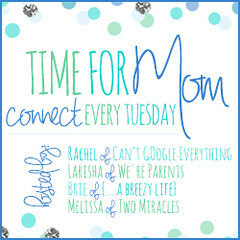 They needed to talk to people with “mommy blogs.” I don’t think I did very well at the interview a) I was not mentally prepared to answer questions on camera, b) I had no makeup on and my hair was pulled back in my typical messy bun and c) I was STARVING by that point and definitely had many “blonde moments.” Ah well. So, if you end up seeing any of the video, which was sponsored by Daddy Scrubs, and I sound like a moron, please forgive me. I promise I will do better in my next interview. I had fun doing it, and that's what matters. I might as well plug Daddy Scrubs a little, though, since they took the time to make me feel a little special by interviewing me. They make personalized scrubs that the dad can wear in the hospital for the birth. I always thought that would be a little silly, but some people like it. However, they are now branching out and have a pretty cool looking “manly” diaper bag. It’s a backpack style bag and has all sorts of pouches and pockets for dads to keep all the accouterments that come with taking a baby more than 5 steps out of the house. It looks really cool. Who knows, maybe I’ve found Aaron’s Father’s Day gift . . .
Olivia got her face painted and was ridiculously adorable walking around as a Tiger for the rest of our time at the event. By the time we left, we were all exhausted . . . well, at least, I know G and I were. She napped in the car the entire way home and then was a cuddle bug when we got there. Olivia and her adorable painted face!